Faith Breezes: A Great Launch Party! It was a wonderful event to introduce Faith Breezes to the world! 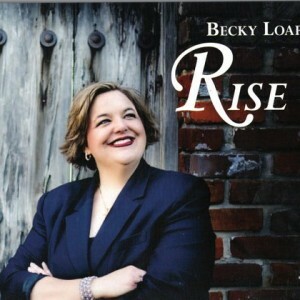 And to remind the world about my daughter, Becky Loar's, beautiful CD, Rise. 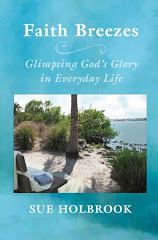 My friends at Vero Beach FUMC gave a superb book and CD signing reception after the program we gave last Thursday night. Pat Becher and Melanie Feek and their committee set the mood with literary decorations and a black and white color scheme. The table pictured above was the greeting at the door. It was so gratifying to sit at the table and sign books - I've waited a long time to do that! But better still is the feedback I'm getting now from those who have read and enjoyed the work God gave me to do. To know that even my pastor's family is using it for their family devotions - that is an honor indeed! FAITH BREEZES by Sue Holbrook is available on Amazon.com. RISE by Becky Loar is available on iTunes and on her website www.rebeccaloar.com.